PASAY—Star once again leaned on its tough defense to pip Phoenix, 114-83, to kick off their own best-of-three PBA Philippine Cup quarterfinal series at the Mall of Asia Arena on Saturday night. 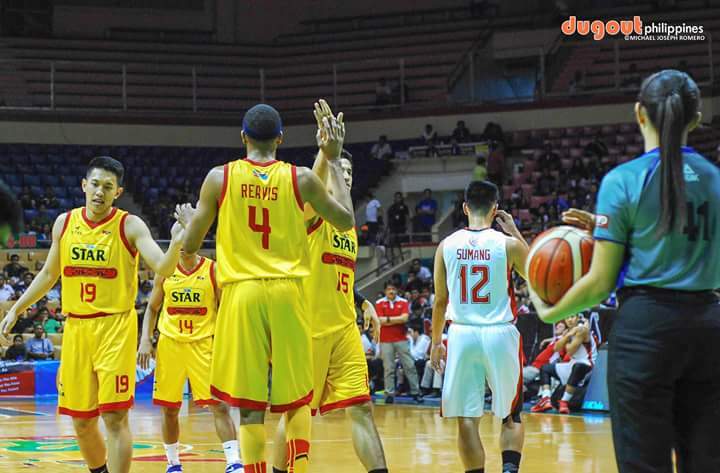 Despite the Fuel Masters getting their strokes in the second quarter, the Hotshots bounced back in the third quarter and walked away victors again in a repeat of sorts of their Dec. 10 meeting at the said venue, where they gored their opponents by 44 points. Star waxed hot at the start, quickly taking a 15-2 advantage in the first quarter. Phoenix, however, appeared to have solved Star's stopping prowess that haunted them in their previous meeting in the second frame, scoring 36 points in the period and entering halftime ahead, 51-45. But the Hotshots took over for good in the third, outscoring the Fuel Masters, 37-13, in the quarter and never looking back. Paul Lee led Star with 22 points on 7-of-12 shooting, while Ian Sangalang added 17 on 5-of-7 shooting. Matt Wright finished with 19 points, five rebounds, one assist, and three steals for Phoenix, but he incurred five errors too.